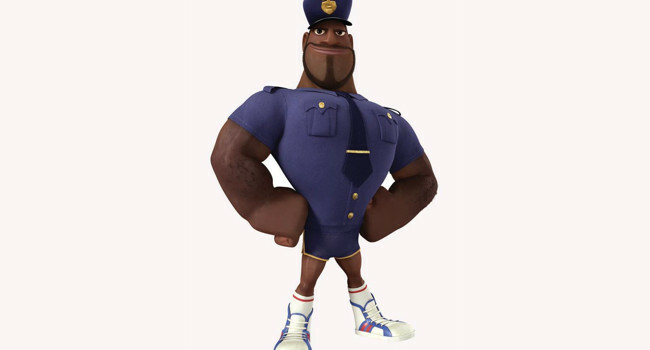 Brent McHale is the town celebrity of Swallow Falls in Cloudy with a Chance of Meatballs. 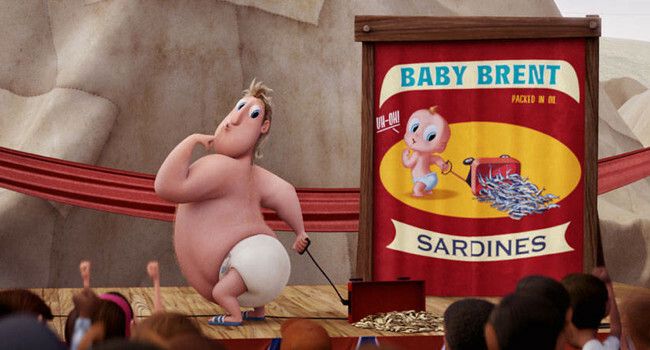 He was the spokesperson for the town’s sardine cannery as a baby and still does guest appearances as Baby Brent – even though it seems wrong for a grown man to be parading around in diapers. He helps Flint and Sam save the town after he becomes Chicken Brent – let’s just say you have to watch the movie to know what that means. Flint Lockwood is an inventor who just wants to prove himself to everyone in Cloudy with a Chance of Meatballs. Unfortunately no one really understands his inventions or find them useful – that is until he develops the FLDSMDFR. But with his track record of failed inventions, it’s not long before it starts raining oversized mutated foods.